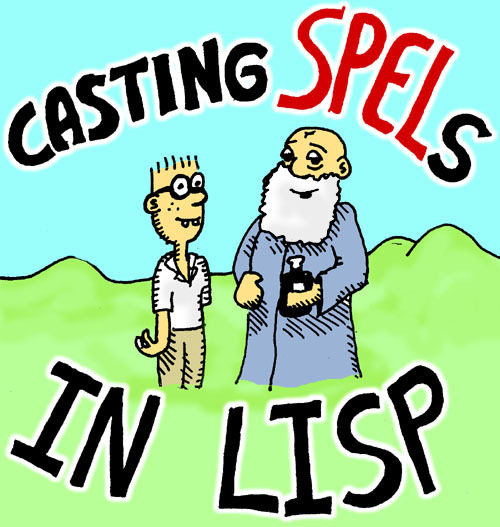 Ever wonder what makes Lisp so powerful? Original Version Emacs Lisp Version Turkish Version Ruby Version Haskell Version?! 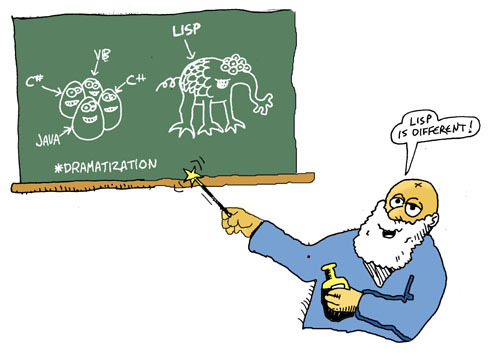 Anyone who has ever learned to program in Lisp will tell you it is very different from any other programming language. It is different in lots of surprising ways - This comic book will let you find out how Lisp's unique design makes it so powerful ! This tutorial was adapted for Clojure, an exciting new dialect of Lisp running on the Java Virtual Machine. Clojure's syntax and API resembles Common Lisp, but there are enough differences to write a dedicated version of this book. Most of the time, we will say "Lisp" instead of "Clojure", since most of the concepts presented apply to Lisp in general - we will point out the places where Clojure handles things a little different. Since Clojure is based on the JVM, you will need to have Java installed on your system. If you have a Mac, Java is already installed. On a Linux or Windows system, you might have to download it from Oracle's Java website. You can get the latest version of Clojure from it's website. ...Simply copy these snippets into the prompt of the Clojure REPL (read-eval-print-loop) and by the time the tutorial is done you will have your own text adventure game !